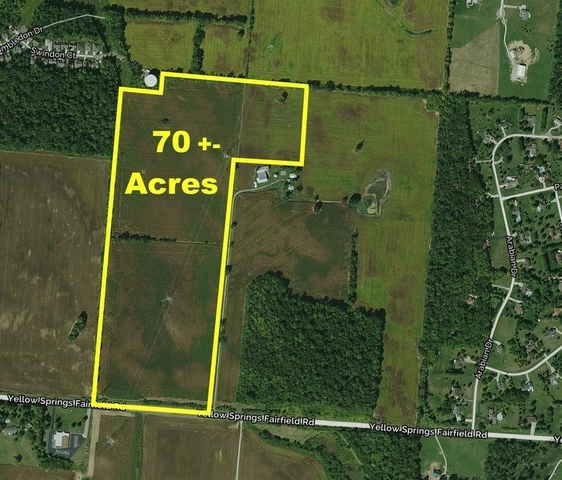 70 acres of rolling farmland located just outside the City of Fairborn. Nearly 100% tillable with crop yield information available. Two electrical line easements located on property. Newly surveyed by seller. No sign located on property. Please contact listing agent before visiting property. 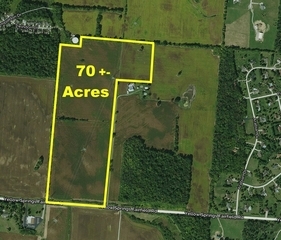 This property is part of a larger 158 acre property with development potential. Contact listing agent for full details. From I-675 near Fairborn, exit west on State Route 235 (aka E. Xenia Dr) to right on Yellow Springs-Fairfield Road to property. NO SIGN LOCATED AT PROPERTY. CONTACT LISTING AGENT BEFORE VISITING PROPERTY.